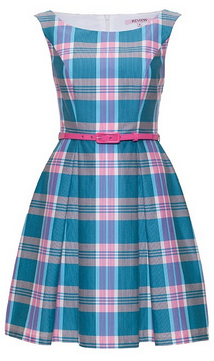 I walked past the Review store a couple of weeks ago and absolutely fell in love with this beautiful dress. I desperately wanted to buy it then and there but I simply didn’t have the money. For now I will admire it from afar but one day I hope to add it to my collection. I love the combination of pink and blue. I have always liked tartan and, although I adore the more traditional colour combinations, it is often lovely to see more unique tartan combinations too. I’m sure it goes without saying that I love the vintage style silhouette, the timeless nature of the impressive quality of Review dresses; a potentially very justifiable purchase given all these factors. I love Marc by Marc Jacobs flats; not only do they look amazing but they are extremely comfortable too. I wish I could own hundred of pairs of these shoes. I have the mouse flats in silver and now I want them in this beautifully vibrant shade of blue; they would add so much to an outfit. Mouse flats, kitty cats flats and all adorable shoes like that are just the best. 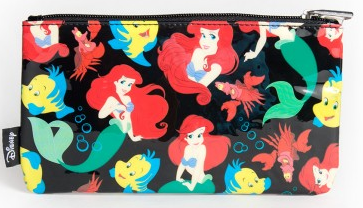 My favourite here is the Ariel version but I was very sad to see that it’s been sold out for some time now. I have joined the wait list but who knows if it will ever come back into stock. The Belle version is a pretty great alternative. 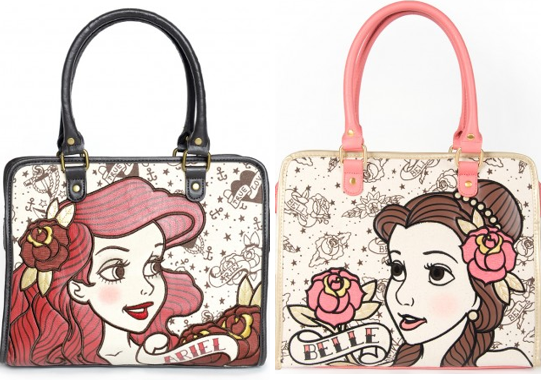 At the moment I love fashion items that are Disney Princess related; I am continually searching the Internet but frequently feel frustrated that there’s never much out there for adults. I truly regret not getting an Ariel printed dress when I had the opportunity to have clothes made in Hong Kong; I intended to but ran out of time to find the material. Ariel brings back the most special childhood memories for me; my mum made me the most amazing Ariel costume with the red hair included. As above. This would satisfy my desire for Disney Princess merchandise at a very affordable price; at only $10 there is no reason why this shouldn’t join my collection. It would like to use this as a makeup bag. At the moment one of my favourite activities in my free time is to customise cardigans with beads, embellishment and sequins etc. I have written about this many times before. I am very fussy about the types of cardigans I buy; they must be good quality, of a certain material and are preferably of the cropped variety (the last point being particularly difficult to accommodate). So I have taken to using Review cardigans for my sewing projects. Even though they retail at $99.99 there is always a sale. I bought one for $38 the other week. 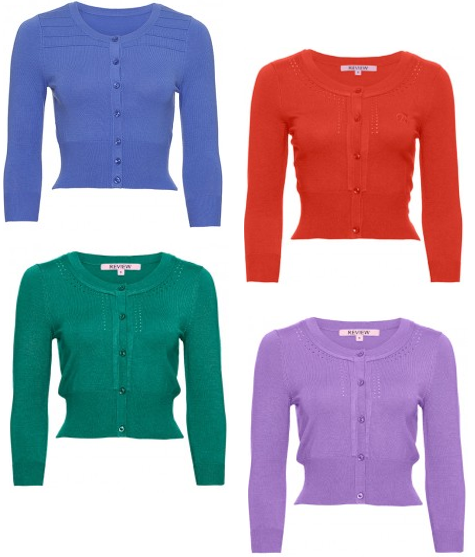 They are also half to a third cheaper than Alannah Hill which are the only other cardigans I generally buy. I have so many ideas for these cardigans at the moment. This dress is from the same collection, The Scarlet Collection, as the dress from my last outfit post. It’s so elegant, classy and beautiful. 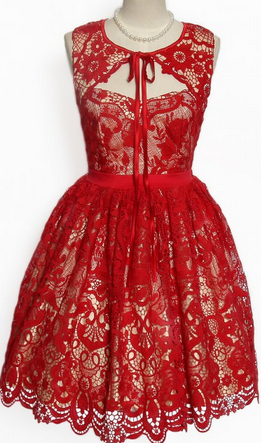 A number of months ago I was browsing the Kitten D’Amour instagram page and saw a very similar dress to this; I absolutely fell in love with the red lace combination. Shortly after I read that Kitten D’Amour decided to bring out a very similar range due to the popularity of that previous collection; within a couple of weeks of admiring the one instagram picture, pretty scarlet dresses kept showing up in store and online. It was amazing. I thought I’d obviously better limit myself to one dress from the new beautiful red collection. It was a difficult decision but I went for the piece in my previous outfit post because it is much more versatile and wearable. I feared that if I bought this dress it would far too often be sitting in my wardrobe reserved for only special occasions. But I will continue to admire and wish for it. I really want to save up for a designer item and I definitely believe a bag would be the best choice. This all started when I borrowed a real Chanel bag (well documented here, here and here) and I wondered whether it would be at all possible for me to buy one of my own. My spending is out of control at the moment and I’m soon to implement a budget for clothes spending which has failed countless times in the past. Based on that calculation I worked out it would take about three or four years to save up for a Chanel bag. I felt sad about that length of time and the possibility that I wouldn’t buy any other clothes, shoes or bags during the time I was saving. So I thought a Kate Spade bag would be a great alternative. Although it’s not quite as exciting, in many ways it will have the same impact on me. 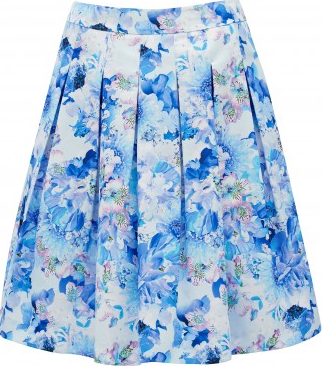 Although I own a number floral skirts I am particularly drawn to this one. The colour scheme is very pretty and reminds me of a water colour painting. I tried it on in Forever New a couple of weeks ago but just didn’t have the money to buy it. I liked it a lot more on than in comparison with just the pictures. Skirts from Forever New are often ridiculously short to the point where I’m turned off buying them and, even outside FN, it can be difficult to find skirts which elegantly sit just above the knee. The classy length was the main selling point of this skirt for me. I, like many other people, love them with crop tops; I am still looking out for the perfect crop tops to buy. Also I just started using Lookbook (yes, just a bit behind the rest of the world). It would mean so much if you showed me some love on there; I’m so unpopular right now.. It has been lovely to randomly come across a few of you on Lookbook. My link is in the sidebar. WOWZIE that Kate Spade bag is killer! 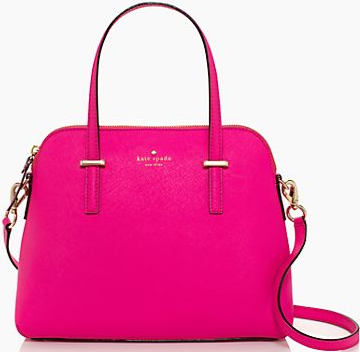 And I love the Kate Spade stores, I could live in one! So well designed and a feast for the eyes.